The Tongan Government through the Ministry of Fisheries has kick-started an initiative to sell fish at an affordable price to locals to ensure people are eating healthy food. 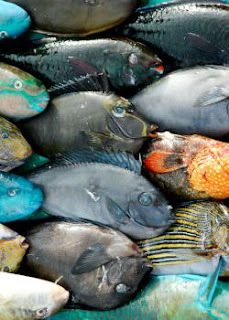 Radio Tonga News reported last week that the Ministry of Fisheries sold six tonnes of fish at the Tuimatamoana wharf, to offset the hike in the price of meat such as chicken and mutton during the festive season. CEO of Fisheries, Dr Tu'ikolongahau Halafihi told Radio Tonga News this was the second shipment of catch partially offloaded in Tonga as part of an agreement with a Taiwan fishing vessel to provide part of their catch to be sold in local market. Fish was sold at between TOP$2.50 to TOP$7 a kilo (US$1.10 – US$3.08) to ensure locals can afford to buy fish. This is part of the Ministry's initiative to make affordable healthy food for Tongans as the country fights against rising non-communicable diseases. The Ministry of Agriculture is also working on amending the island kingdom's Food Act to ensure proper labelling of all food items sold in shops. If approved, Tonga's Food Authority will work with businesses to make sure all food items are properly labelled with instructions of ingredients and other necessary information. Metuisela Falesiva of the Ministry of Agriculture and Food told Radio Tonga News they hope the amendment to come into effect soon will ensure that locally produce food items are safe for consumption..